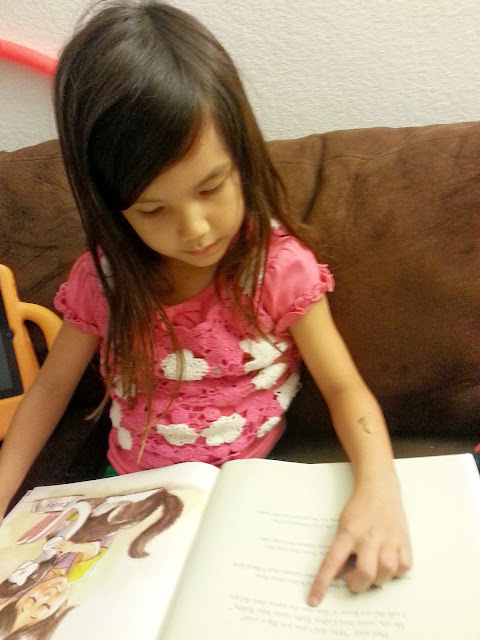 When my daughter received the book My Name Is Leona, written by Carol Gahara Harris and illustrated by Kim Fujiwara, she couldn’t wait to read it to me. She just started kindergarten and is just beginning to be able to read books on her own (with a little help of course). 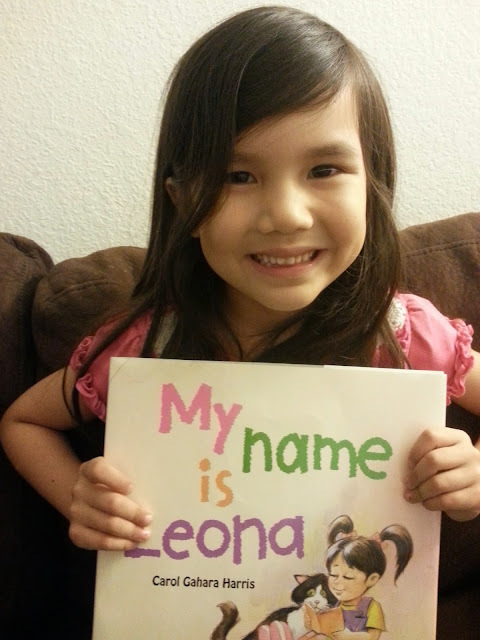 My Name is Leona is such a charming story about a little girl who does not like her name. It is the author’s debut book, who apparently did not like her name when she was a child herself. The book is hardcover and is twenty four pages long. 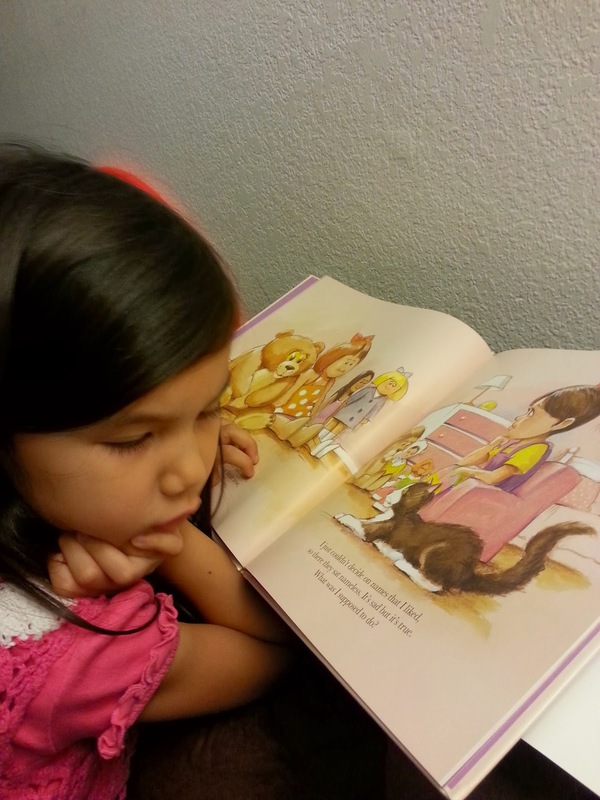 It’s cute because the little girl in the story has her cat with her on every page. My daughter’s name is Ashlynn, which is also a unique name that people don’t hear very often. She usually gets called Ashley, but we’ve also gotten Ashton and Ashland on occasion, so my daughter can definitely relate to having an unusual name. Luckily, at least for now, Ashlynn does like her name, so she had trouble understanding why the main character in the book, Leona, didn't like her name. In the story, Leona asks her parents why they decided to name her Leona. They tell her the meaning of her name, that it means strong and brave like a lion. They also tell Leona about the moment she was first born, and how they knew that it was the perfect name for her. It was so sweet how the parents describe finding the perfect name to suit their new baby. I am pregnant at the moment, so my daughter and I have been doing a lot of talking about choosing a name for her new baby sister. I love the illustrations in this book. The pictures are so cute and colorful. In the story, Leona even talks about how she had trouble choosing names for her two pets, a goldfish and a cat. In the end of the book, Leona adds her name to her ‘family tree’ and makes a paper poster / banner that hangs in the tree in their yard. By the time the book ends, Leona has grown to be proud of her name after she learns that it was chosen with love, and draws her name in chalk on the sidewalk. I think this book is wonderful for children, either at home or for a classroom teacher, because it has such a positive message. It would be the perfect starting off point to begin a discussion about teasing other children about their name, or even about bullying in general to help with self esteem issues. To find the locations of the select specialty stores in Michigan and Texas at which the book is sold, or to order directly from the author of My Name Is Leona, visit www.CarolGaharaHarris.com. What a cute book! I love the review on it and enjoyed Ashlynn's contribution to the review as well. I love this! My son has a unique name so this would be a great book to get. Plus, I want him to always be kind to others! I can relate on the name thing. I had Becky it just sounds so weird to me lol. So when I had kids I made sure it was a name that was not original. Very good book for children with unique names. Thanks for sharing. This sounds like a really sweet book. This sounds like a really cute book for a little girl.